Janitor In Auburn Hills: What Does Your Workspace Say About You And Your Business? What Does Your Workspace Say About You And Your Business? In a previous post, we discussed the benefits of hiring a professional janitorial team to clean your place of business. One of the points we touched upon was the importance of maintaining a clean and tidy workspace. It is the business with clean windows, neatly stacked papers and dust-free countertops that will attract customers. A business with windows full of fingerprints and papers strewn about the office is sure to appear unprofessional, unorganized and inefficient. In addition to creating a positive first impression for potential customers, a neat and tidy desk can also affect your mood and productivity at work. 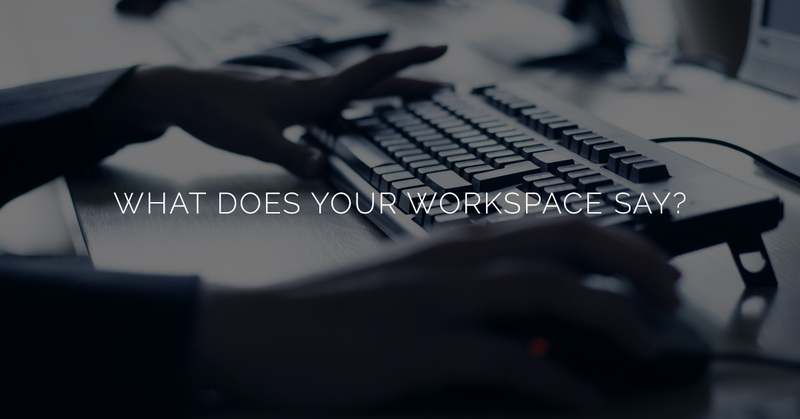 Take a step back and examine your own workspace—how does it make you feel? Are you happy when you get to your desk every morning? Are you motivated and ready to work? Or do you dread sitting at your desk because the stacks of paper and plethora of knick knacks give you anxiety? A janitor can take care of and clean every part of your business from floor to ceiling, but there are minor steps you can take, on your own, to maintain a tidy workspace before the professionals at Augie’s Janitorial Services show up to really take care of business! We understand that when you are on the go and working hard, it’s not always easy to maintain a neat workspace. Beyond making a good first impression, there are many other benefits to keeping your desk or office space clean and free of clutter. Check out these benefits below! 1. A clutter-free workspace gives way to a clutter-free brain. When your desk is piled high in papers, knick knacks, protein bar wrappers and half full coffee mugs, you are setting yourself up for failure. Every piece of clutter on your desk gives you an opportunity to become distracted. Instead of focusing on the task at hand, you may start examining the protein bar wrapper wondering, how many grams of protein are actually in this bar? Is that much sugar normal or should I switch up my choices? If you need to search through stacks of unorganized paperwork to find a crucial piece of information, you are not only getting distracted, you are also wasting valuable time that you could spend doing something more important and productive. Start organizing your paperwork—stack your papers and memos, and set aside important documents that you may need to find quickly. 2. A clean workspace inspires confidence. When your desk is neat and tidy, you may find yourself sitting a little taller. Your attitude, confidence and the way you approach your work day may be seem a little brighter and better. A sloppy, unorganized desk will give the appearance that you, yourself, are a sloppy and unorganized individual—and we know that you aren’t that person! Treat your workspace as you would treat your personal appearance when you get ready for work in the morning. Would you ever go into work with a head full of tangled, ratty hair and pajama bottoms? No way! Your coworkers, employer and potential clients would raise an eyebrow and question whether you were qualified for and serious about your job. If, on the other hand, you took the time to shower, brush your hair and put on a nice pair of slacks, the people around you would take you seriously and notice your professionalism—sweet! Remember: look good, feel good! The same applies to your desk and workspace. In terms of productivity, how much more work would you be able to get done every day if you knew exactly where every file or important document was stored? Even if it only seems like it would save you mere minutes, think about it this way: if you saved yourself two minutes each day by getting organized, you would save yourself 10 minutes each week. And ten minutes per week would be roughly 200 minutes per month. Imagine using an extra three hours each month to spend on your work rather than wasting it looking through unorganized stacks of paper. 4. No one wants to be sniffly or get sick at work. 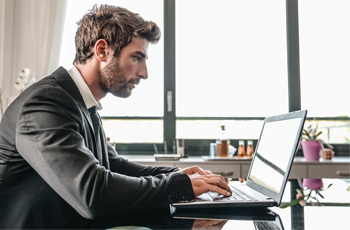 If you have never dusted or wiped down your workspace, take a second to run your finger across your computer screen. That grey, fuzzy residue on your finger is called “dust” and is a telltale sign that you have not cleaned your desk in quite a while. Keeping a jar of sanitizing wipes in your drawer at work will give you access to everything you need to perform an ultra-quick cleaning session. If you are someone who suffers from allergies or you are generally irritated by dust and pollens, wiping down your desk, keyboard, computer screen, etc. once a week will quickly and easily cut down sniffles. On the same note, sanitizing wipes will kill any pesky germs that may be residing on your desk or between the keys on your keyboard. If it is flu season, you will greatly decrease your chances of catching something when you eliminate germs from your workspace. Breathe freely and treat yourself to a flu-free winter! 5. Eliminate unnecessary stress from your day! Mess is stress. When we asked, previously, how your workspace makes you feel, what was your answer? Do you feel like your desk is slowly sucking the life out of you? Or do you enjoy being in your workspace because it makes you feel cheery and motivated? If you can’t bare the thought of your unkempt desk and it is quite literally a thing of nightmares, it’s likely you experience some degree of stress every single day at work. This stress is avoidable and can be easily reduced if you take a few minutes to file paperwork and throw out old soda cans. You will immediately feel lighter and brighter, and you will finally look forward to sitting at your desk to conquer your work day. If you have yet to enlist our expert cleaning services, give us a call today. 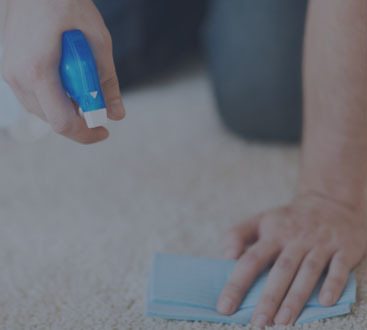 The extensive list of services we offer includes carpet and upholstery cleaning, day porter services, commercial cleaning, groundskeeping services and much more. 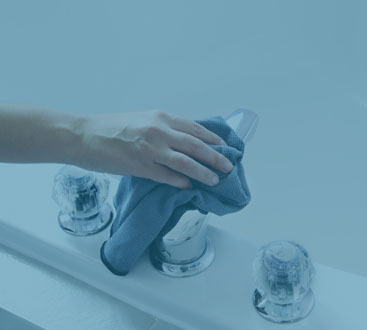 For a more in-depth explanation of the cleaning services we provide, click here. And remember, if you need something polished, dusted or scrubbed, turn to Augie’s for the finest janitors in Auburn Hills providing the best and most professional cleaning services.